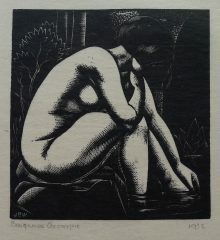 John Buckland Wright, etcher and wood engraver was born in Dunedin, New Zealand. He moved to England with his widowed mother in 1908 and studied History at Oxford. Buckland Wright initially started an architecture course in London, but decided to pursue a career in art instead. He lived in Brussels during the early 1920s and immersed himself in the flourishing arts community there. 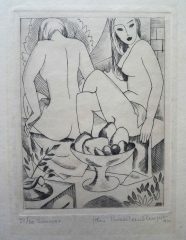 In 1925 he became a member of the Gravure Originale Belge and the Xylographes Belges. In England he was accepted as a member of the London Group and Society of Wood Engravers. During the 1930’s, Buckland Wright lived and worked in Paris. 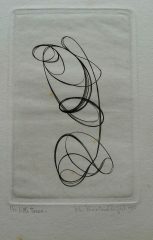 He frequently visited Atelier 17, the printmaker’s Art School established by Stanley William Hayter. Due to the imminent war, Buckland Wright returned to London in 1939. Joining ‘The Industrial Camouflage Research Unit’ with Roland Penrose & Julian Trevelyan. 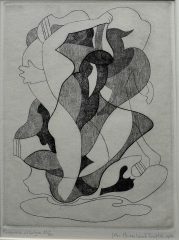 After the war, from 1948, he began teaching at Camberwell School of Arts and Crafts and from 1953 he began teaching at the Slade School of Fine Art. 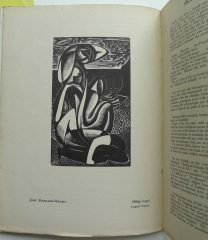 Buckland Wright worked primarily as a printmaker, illustrating numerous private press books. His work is represented in the collections of the Museum Meermanno in The Hague, Bibliothèque nationale de France, the Victoria and Albert Museum, and the Tate Gallery.